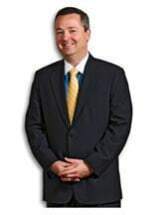 I am Tim Lengkeek and at the law firm of Young, Conway, Stargatt & Taylor, LLP, in Georgetown, Delaware, I provide legal counsel and representation in personal injury and medical malpractice cases. I am committed to protecting the rights and interests of injury victims and their families across Delaware. When someone else's reckless or negligent actions cause injury to another, the victim may be entitled to financial compensation. I help my clients recover compensation for their medical bills, future medical expenses, and wages lost during the recovery process and more. In cases involving fatal injuries, compensation for funeral expenses and other damages may be available. My track record, which includes more than a dozen cases resulting in verdicts or settlements of at least $1 million, shows that I aggressively pursue maximum compensation for my clients. This is not only what they need, but what they deserve. In 2014, Delaware Today named me "Top Lawyer for Medical Negligence." I was also voted "Top Personal Injury Lawyer" by readers. Medical negligence is a very significant part of my practice. I believe strongly that patients' rights must be protected. When hospitals or medical professionals fail in their duties to patients, it is important that patients receive answers and compensation. If you or a loved one has suffered due to a medical error, it is important that you contact a skilled and reputable attorney soon due to strict statutes of limitations. The same is true after car accidents and truck accidents. I provide potential clients with free initial legal consultations. Please call me, if you would like to schedule a free consultation.